the beautiful and large swimming pool, the manicured garden, the perfect colors match, the excellent cuisine and the impeccable service. Dipped in the Salento countryside, a few km away from the main touristic towns and close to the sea, Furnirussi Tenuta is a paradise if you are looking for a relaxing holiday and bio-cuisine. The resort is located in Serrano di Carpignano Salentino and known because it has the biggest organic fig plantation of Europe. By car you can easily reach the Laghi Alimini (9 km), Otranto (12 km), Lecce (25 km), Gallipoli and Santa Maria di Leuca (40 km) and you can do several cultural visits and naturalistic sightseeing trips. 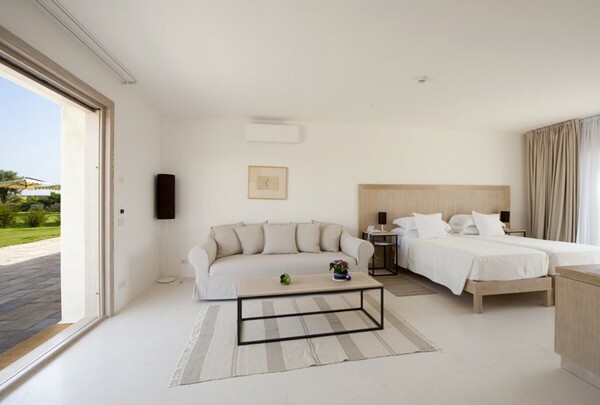 Furnirussi Tenuta is a 5-star resort where comfort and modern services meet the Apulia tradition, the smells and quiet of the countryside. The white color of the façade creates a gentle contrast with the green of the English garden and the blue nuances of the swimming pool. 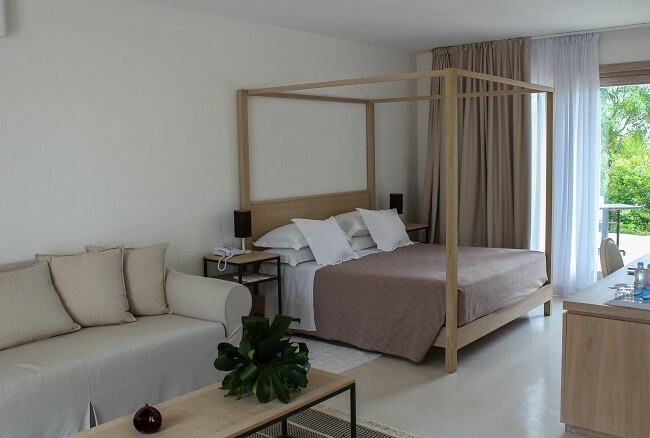 The indoor is characterized by a romantic and soft style, light colors and high quality furniture. Furnirussi Tenuta houses 24 Suite, a Spa, a restaurant, a pool bar and several common lounge areas. 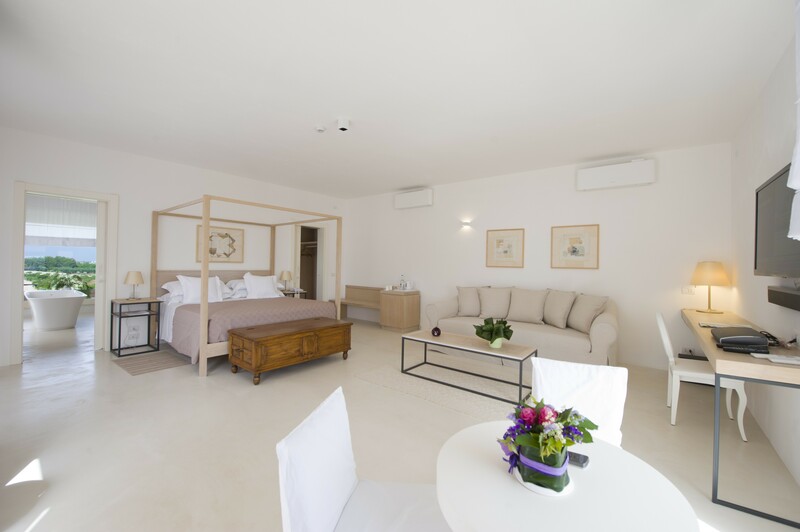 The Junior Suites of Furnirussi Tenuta are located on the ground floor and on the second floor are the Suites on panoramic position. All accommodations are large, bright and provides air conditioning, satellite TV with pay per view, hairdryer, minibar, safe and internet connection Wi-Fi in the entire resort. Nice gold sandy beaches of “Laghi Alimini” are located at approximately 10 km away of the Furnirussi Tenuta. On request and with a supplement the hotel shuttle service is at clients disposal, as well as the staff of the reception for any information concerning the beach clubs in the area. The Spa of Furnirussi Tenuta guarantees a professional staff and truth experience for the 5 senses. It consist of hammam, Kneipp cure, chromo therapy shower, whirlpools and a rich menu of personalized massages and treatments as well as pindasweda and hot stone massage. Due to 20 hectares of gardens and countryside, Furnirussi Tenuta offers two fitness and jogging trails: one of 2,5 km along the perimeter area of the resort and another of 600 m that goes along the inner area of the resort. A gym is at guests disposal too with Technogym equipments and on request it can be booked a personal trainer or private Yoga sessions. For any golf lovers at around 30 km away is the Acaya Golf Club. At the Restaurant of Furnirussi Tenuta you can taste the best Salento recipes prepared with the genuine and seasonal ingredients of the farm. The restaurant is open for a reach buffet breakfast and for lunch and dinner with a la carte menu. On request vegetarian and gluten-free dishes. Furnirussi Tenuta is at guest disposal for additional request: excursions, guided visits at the farm, food tastings and the chance to buy homemade products. Located on the ground floor, the Classic Junior Suites are equipped with king-size bed, sofa and desk. 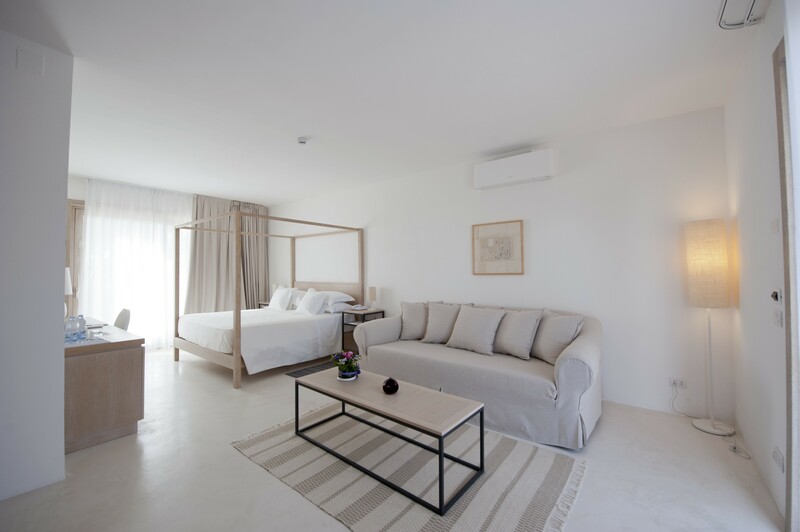 They are large, bright and provides air conditioning, sat Tv with pay per view, minibar, Wi-Fi and safe. 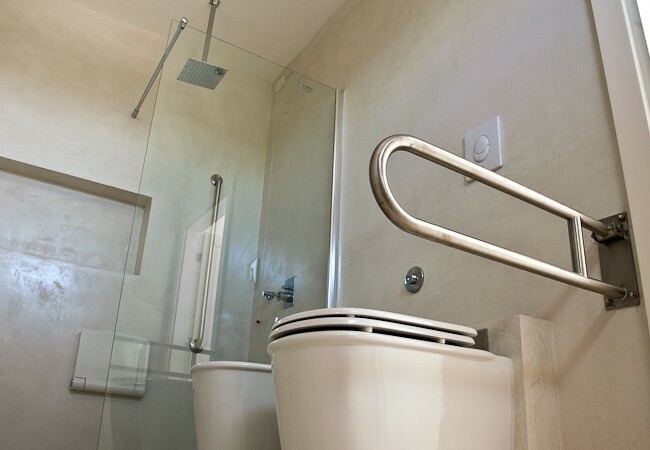 The en-suite bathroom (ideal also for disabled) has a walk-in-fall shower, hairdryer, bathrobes, slippers and complimentary toiletries. All Junior Suite Classic face the courtyard and have an equipped patio. Located on the ground floor, the Deluxe Junior Suites are equipped with king-size or twin beds, sofa, desk, walk-in closet, dressing room. They are large, bright and provides air conditioning, sat Tv with pay per view, minibar, Wi-Fi and safe. 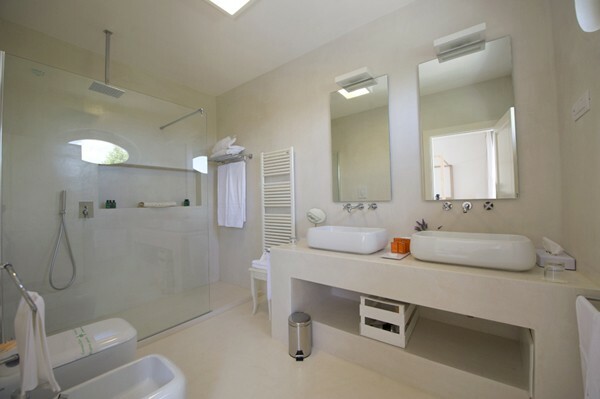 The en-suite bathroom has a walk-in-fall shower, hairdryer, bathrobes, slippers and complimentary toiletries. All Deluxe Junior Suite face the courtyard and have an equipped patio. Located on the second floor, the Superior Suites are equipped with king-size, sofa, desk, coffee table, table and chairs, antique chest. 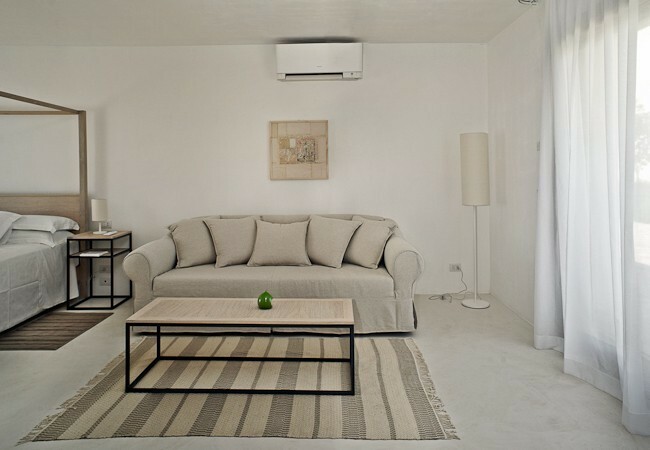 They are large, bright and provides air conditioning, sat Tv with pay per view, minibar, Wi-Fi and safe. 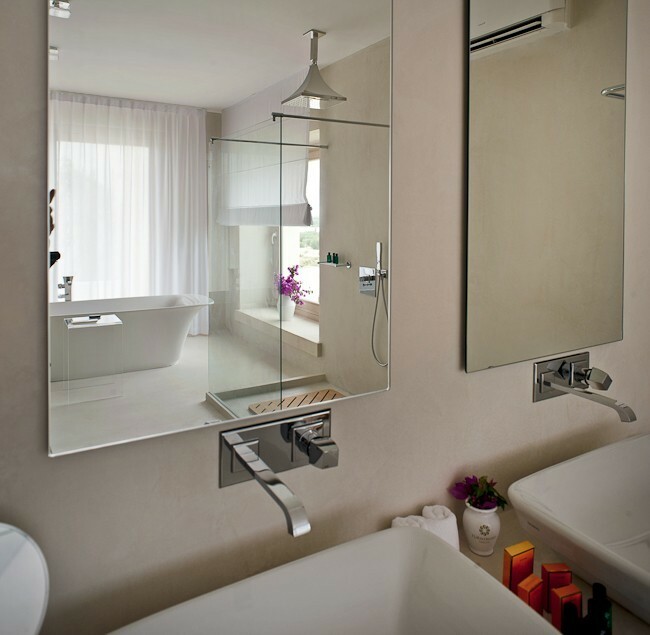 The en-suite bathroom has a walk-in-fall shower and a panoramic tub, hairdryer, bathrobes, slippers and complimentary toiletries. 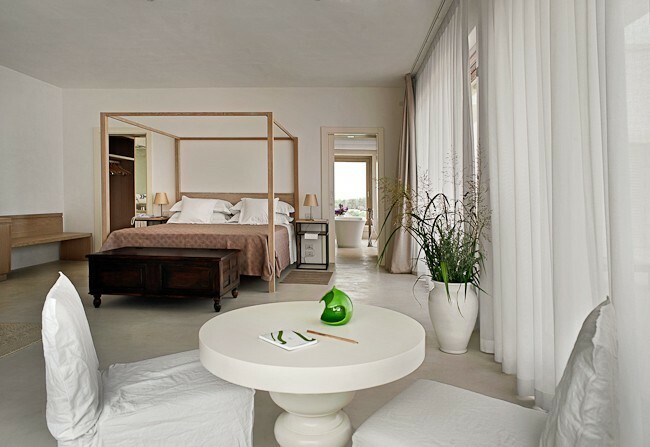 The Superior Suite face a large and equipped terrace with panoramic view. Advance Booking Rate - Book at least 90 days in advance and get a 5% reduction on your stay.